The Standing Rock Nation will challenge the Dakota Access Pipeline (DAPL) in court based in part on its federal water rights, according to Chairman David Archambault II. Archambault made his comments in an interview with MSNBC, posted online by Indian Country Today. Although the federal government has authority to regulate water, it typically defers to the states to allocate water resources within the state. The federal government maintains certain federal water rights, though, which exist separate from state law. In particular, federal reserved water rights often arise in questions of water allocation related to federal lands, including Indian reservations. 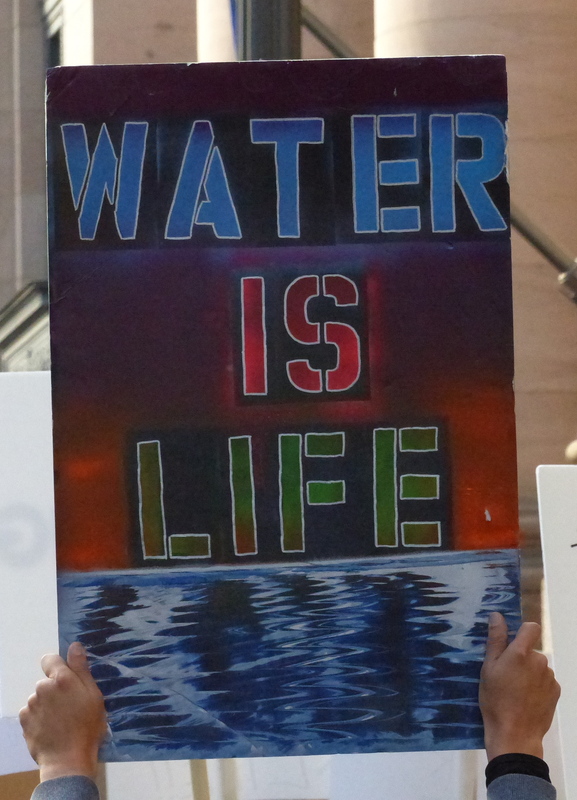 Indian reserved water rights were first recognized by the U.S. Supreme Court in Winters v. United States in 1908. Under the Winters doctrine, when Congress reserves land (i.e., for an Indian reservation), Congress also reserves water sufficient to fulfill the purpose of the reservation. Archambault also contends that President Trump has a conflict of interest in his efforts to expedite DAPL approvals through executive memorandum. Trump received a $100,000 contribution from an executive of Energy Transfer Partners, the company building the pipeline, he said. Trump also has invested in Phillips 66, which will refine the oil. His first effort at Indian fighting was waging a war against the Creeks. President Jefferson had appointed him to appropriate Creek and Cherokee lands. In his brutal military campaigns against Indians, Andrew Jackson recommended that troops systematically kill Indian women and children after massacres in order to complete the extermination. Jackson was the driving force for the Indian Removal Act, which not only displaced tens of thousands of Native Americans from their homes, but also resulted in the deaths of thousands of Native Americans in the forced relocation known as the Trail of Tears.